RGD320, STC-Shaped Guitar from Ibanez in the RGD Standard series. 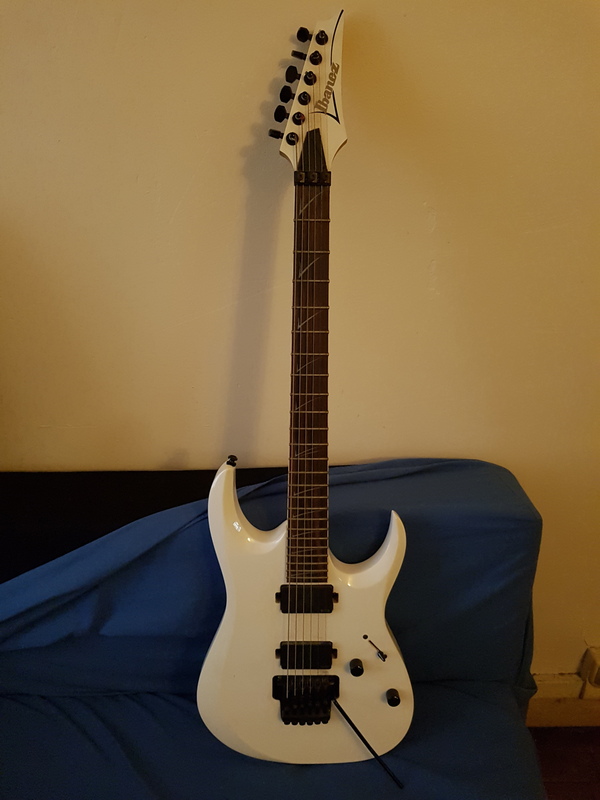 tjon901's review"RG built for low tuning"
The Ibanez RGD320 is a a guitar in Ibanez's new D series line. This line of guitar is built to be tuned lower than E from the factory. The RGD320 comes from the factory setup for D standard tuning which is one full step lower than standard tuning. The guitar has a 26.5 inch scale which is one inch longer than normal. The bottom cutaway is slightly larger than normal and both of the cutaways are nicely beveled. 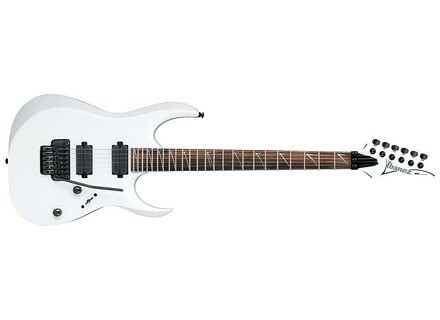 The guitar has the Wizard 3 neck and it is super thin and it has white binding. The D series guitars have their own special inlays and to me they look like fish hooks. It has the fine Edge 3 tremolo system. The guitar has two of Ibanez's unfortunately named "Down Tunz" pickups. These pickups remind me of some of the old Bartolini pickups with their rail magnets. These pickups have been specially voiced for clarity in the lower tunings. It has a single volume knob and tone knob with a 5 way blade switch. 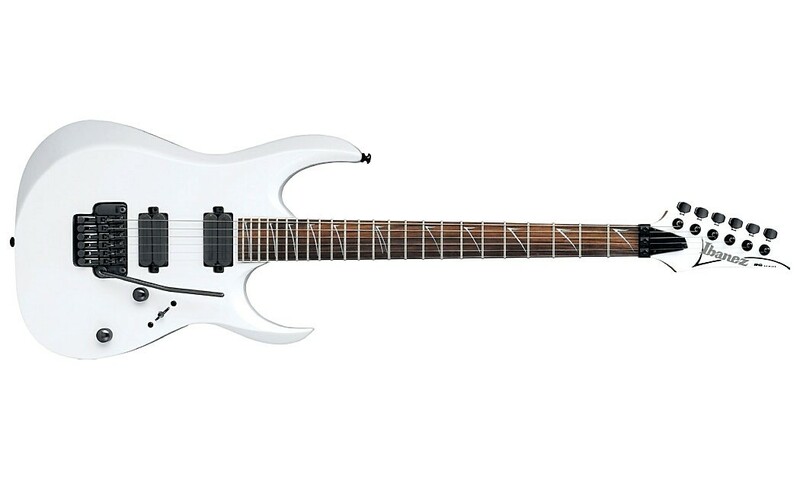 Ibanez prides themselves on having some of the best playing guitars on the market. The Wizard neck is super thin and wide and it is very easy to get a low action on it. The long scale allows you to use lighter strings in the lower tunings so the string tension is like it would be on a normal scale guitar. With the longer scale it is very easy to solo on the higher frets because they are not so close to each other. This lovely neck makes you forget the scale is an inch larger than normal. To me the body seems a bit larger than on a normal RG. They might have done this to keep it in proportion to the larger neck. The large cutaways are larger than normal and have a lot more beveling on them. Normal RG's without the beveling sometimes the edge of the cutaway can hit your hand that is not a problem on this guitar. The guitar sounds nice and thick with the extra scale length. These pickups are a lot better than the pickups Ibanez normally puts in their guitars. They are more alive and full sounding than the normal Ibanez pickups and much clearer. Basswood is not the best tone wood for a guitar but the extra scale and decent pickups help make this guitar sound good. The seemingly larger body also helps get more wood into the equation which is always good. If you are planing on dropping this guitar lower a set of active pickups would work really well also. It is a good idea to have a guitar in that range right between a normal 6 string and a 7 string. People may be intimidated with 7 strings and reluctant to switch. With the RGD320 they can experience low tuning and a larger scale and still have the 6 strings they are comfortable with. 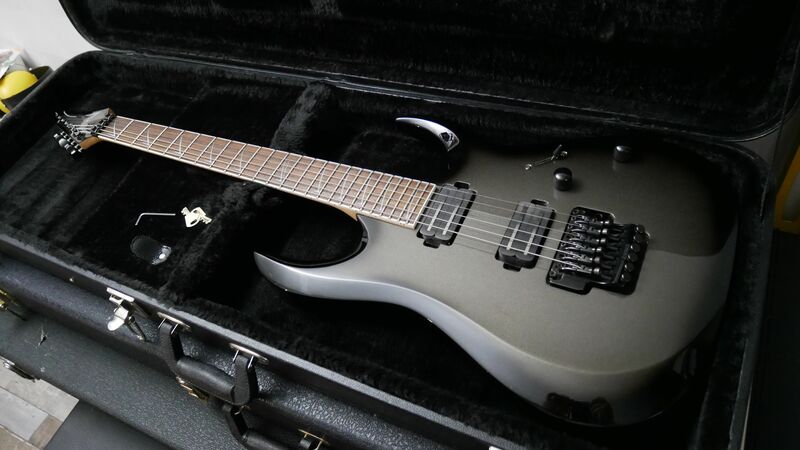 A non prestige Ibanez with usable pickups from the factory is also a welcome change of pace. Personally I have no problem tuning my regular scale guitar down. I am use to heavier strings but for some people heavy strings are a problem. For these people this guitar is perfect if they want to tune down and get a heavy sound. 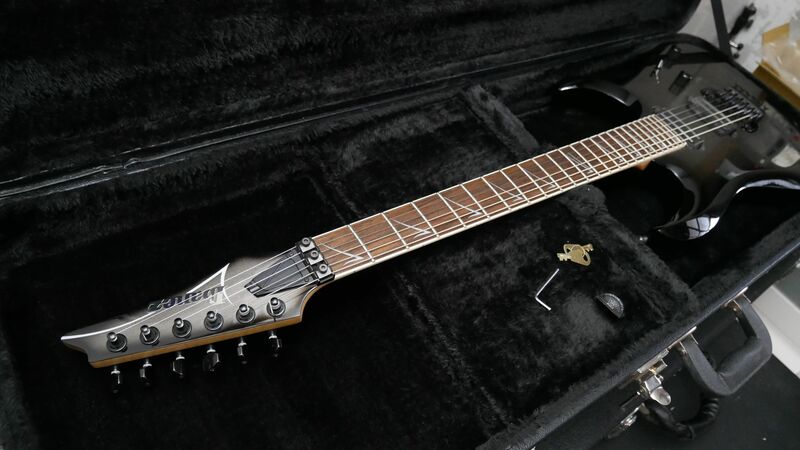 For 2010 Ibanez presents a new, heavier rock RG edition, the RGD series.